Everyone knows San Francisco is in the midst of a housing crisis. There just aren’t enough rooms for everyone who wants to live here, and that means rents are too high, families get pushed out of the city and commutes get longer. But there are thousands of potential rooms all across the city that can’t be rented because of existing zoning laws: Granny Units. These studios or one-bedroom spaces, which you might also know as In-Law units, can be found in just about every garage in the city. In looking finding possible solutions to our housing crisis through data, I have identified possibly over 30,000 homes with a potential Granny Unit attached. Can you imagine what would happen if 30,000 new units, controlled by homeowners and not career landlords, came on the market? There’d be almost no wait time for these new rooms--many of these structures already exist or a close to being updated, meaning no new construction or change to the look and feel of our neighborhoods. While San Francisco has got with the times and updated some of the laws allowing Granny units, there is no robust effort to motivate owners to build them or legalize them. This, combined with the fact that owners don’t want to pay more in property taxes has left this potential solution going nowhere. As assessor, I would communicate with owners about how this would impact their assessment if they chose to create a granny unit. Also, I would work with city hall to try and find ways of mitigating the additional tax. Maybe we can do what San Jose did and find funding to help with the additional tax if they rent to low income families. Other cities recognize the housing crisis and are paying people to install them or offering low interest loans. This is the leadership San Francisco desparately needs. 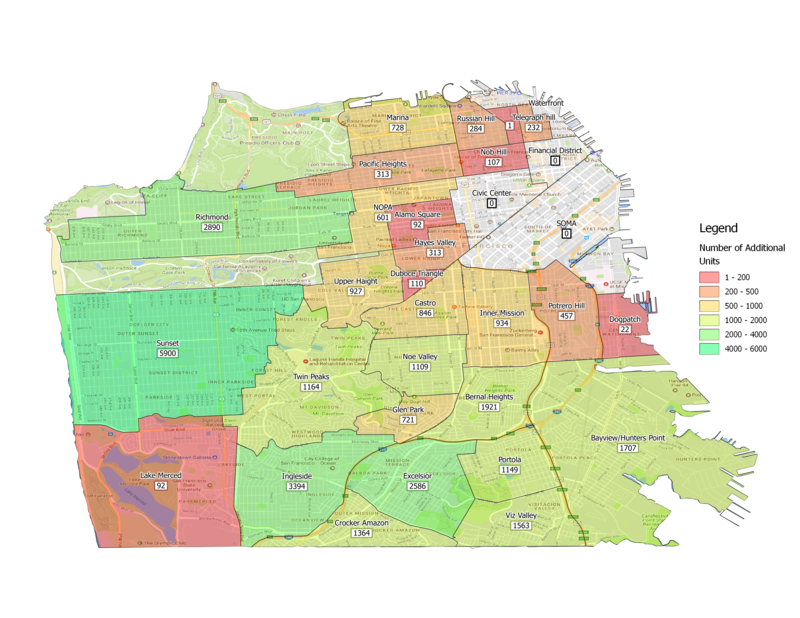 Take a look at the map AccessSF.org put together to illustrate just how much untapped potential there is in San Francisco’s housing market. Portland and Los Angeles are already on board with this idea, and with the challenges San Francisco is facing only expected to get worse, we desperately need to some creative solutions.